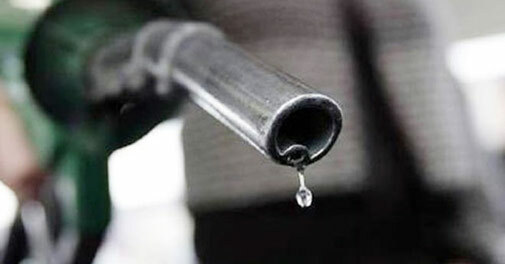 MOTORISTS here have for the past week endured stock outs of fuel supplies, indicating a worsening fuel situation in the petroleum industry. So bad has been the situation that even the pump stations that sell in foreign currency have virtually gone dry. The few that had the product yesterday had long, winding queues. Some motorists are resorting to buying on the black market where prices are much higher. It was, however, a double whammy for motorists as police cracked down on the black market, confiscating hordes of fuel from dealers. This left motorists stranded as they literally had nowhere else to access fuel. A survey by the Daily News yesterday revealed that most Total Zimbabwe service stations in the city received fuel after some days of dry pumps. A manager at one of the Total service stations who declined to be named said: “We finally received our fuel today after some days without supplies. Abnormally long queues could be seen in the Central Business District’s relatively few service stations that had fuel. Surprisingly, similar queues could be seen at the foreign currency fuel-selling service station, signifying how dire the situation has become. Some service stations in the city yesterday confirmed to have gone for more than a week without a drop. On the other hand, commuters have been struggling to get transport back home as commuter omnibus operators failed to meet demand occasioned by the intense shortages. Many simply parked their vehicles. The fuel shortages have crippled many business operators in the city. Despite increasing the price of fuel by almost 150 percent in January, there has been no end in sight to the crisis. The fuel crisis comes at a time, Cyclone Idai has left a trail of destruction in Zimbabwe, Mozambique and Malawi, damaging the Companhiado De Pipeline Mozambique-Zimbabwe (CPMZ) control room at Beira in Mozambique, affecting the pumping of fuel and natural gas to Feruka Oil Refinery in Mutare. This left many speculating that the shortage might be Cyclone-related. However, Energy minister Joram Gumbo this week indicated the country had enough fuel stocks. Comrade Minister Gumbo said there was plenty of petrol in the country – the reason why people were queing meant that there was plenty of fuel !